Upon docking at the Dikili pier, you will be met by your lecturer/guide to start your explorations of the Greco-Roman city of Pergamon, which is famous for its Asclepion, the ancient medical center serving almost like a spa of the 19th century. 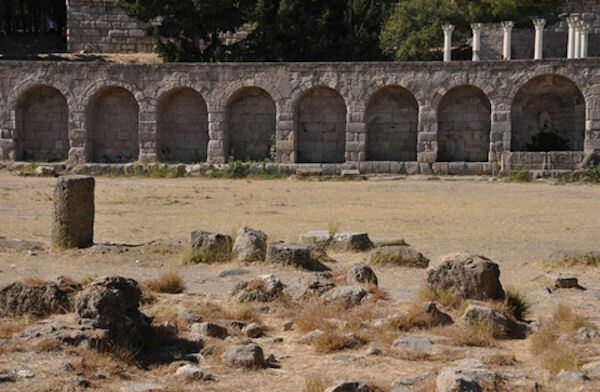 Asclepion is the place where the first psychological treatment had been used in history. Leaving the Asclepion, you will see the Acropolis, the Altar of Zeus, and the Temples of Athena, Trajan, and Dionysus. It is from a staircase leading from the Temple of Athena that the magnificent 10,000 seat theater will be seen. Upon the completion of your tour, your guide will return you to the pier to board. Please be sure to wear comfortable shoes and don't forget your camera. Also, please note lunch is not included in the cost of this tour. A tour voucher is required for children age 6 and older. No charge for children 5 and under.